this image may not be used to state or imply NCI and/or the research institution's endorsement of any company or product. Mesothelioma spheroid. 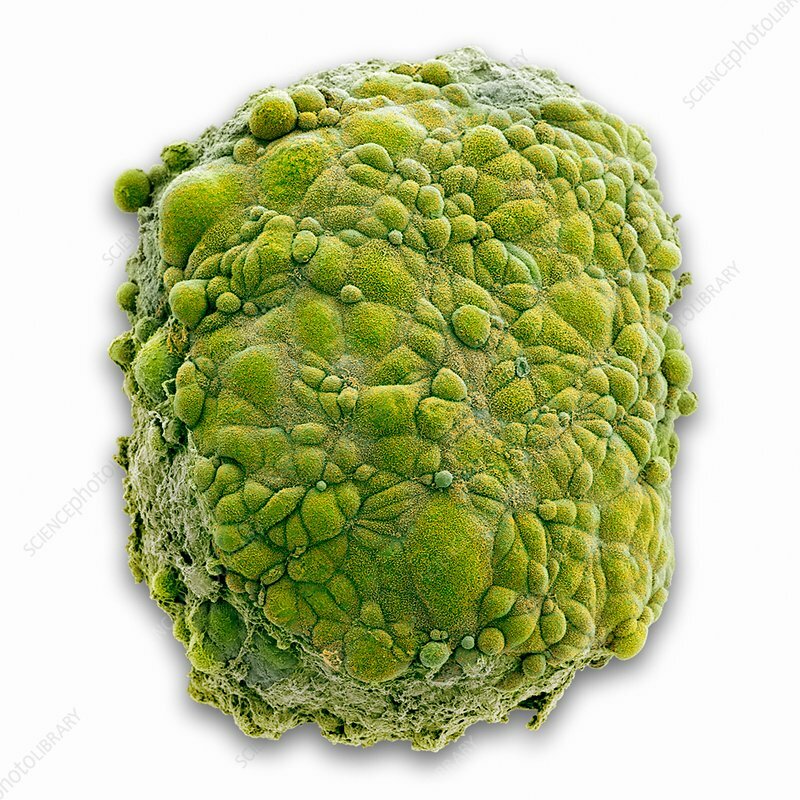 Coloured scanning electron micrograph (SEM) of a cultured spheroid of a mesothelioma, a form of cancer. Cancer cell spheroids allow study of a tumour microenvironment and how it affects the ability of drugs to penetrate and kill tumour cells. Mesothelioma is a malignant cancer of the pleura, the membrane lining the chest cavity and lungs. It is usually caused by asbestos exposure. It often reaches a large size before diagnosis, and the prognosis is then poor.